You bet this game had everything from sheer brilliance to utter madness. 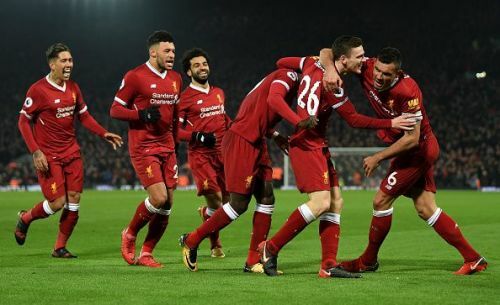 Liverpool vs Manchester City at Anfield had all the ingredients in place to become a contender for the match of the season and boy did it live up to the expectations! Manchester City were taken apart by Liverpool's pressing in the second half and at the end, the scoreline flattered the champions-elect. If it was not for their shoddy usual defending, this could have been a proper beating. Alex Oxlade-Chamberlain opened the scoring with a low drive from outside the box before Leroy Sane levelled with a thunderbolt. A nine-minute second-half blitzkrieg from the fab three of Firmino, Mane, and Salah then saw Liverpool getting a 4-1 lead. Bernardo Silva and Ilkay Gundogan tested the nerves of the Liverpool players and supporters at the end but the Reds did enough to cross the finishing line. This was going to be the toughest test of the season for Pep Guardiola's record makers. 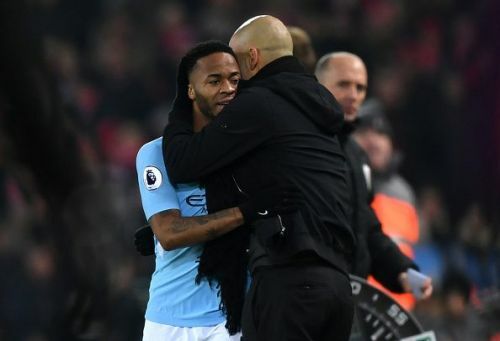 Coming into this match, Manchester City were unbeaten in all of the 22 league matches this season and had dropped just four points in that period. City's last defeat came 33 matches earlier whereas the last time they conceded 3+ goals was on January 15, 2017, against Everton. After Leroy Sane equalized and even after the interval, City looked at their commanding self and were on course for another professional display, led by Kevin De Bruyne. But near the hour mark, they did not have any idea what hit them! Liverpool pressed with intent, caused City to commit unnatural mistakes and the dream of going invincible in the 2017/18 season was lost. Credit to Manchester City for not losing hope and doing what they have been doing all season - finishing games strongly, the mark of a champion side - but on the night, Liverpool were deserved victors.